The many changes in the Animal Kingdom have had no impact on the Plant Kingdom. Classification has been very stable. Linnaeus is still king. There are 44 animal clades, but only 10 divisions of living plants. The need for less text provided the opportunity to present many images of representational species, all custom prepared by a leading botanical illustrator. 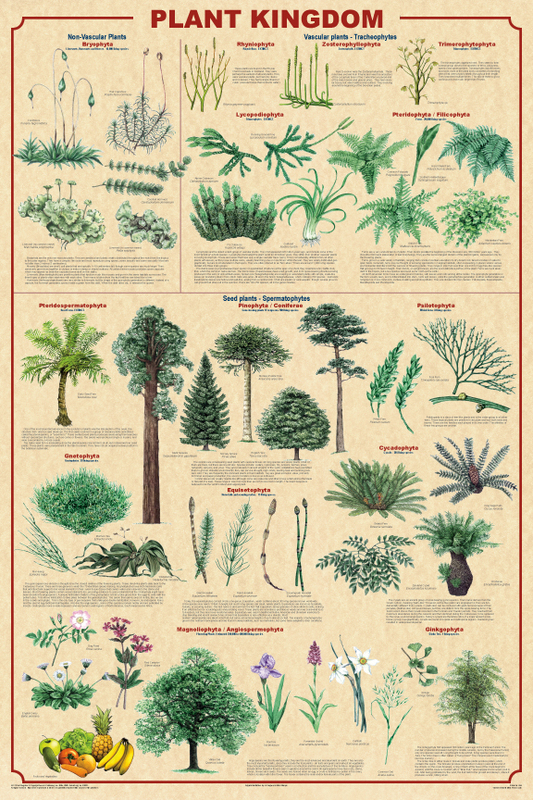 Both posters are great for life science classes but the non-technical presentation makes them popular with many plant lovers.